Want to use those little emoji smiley face symbols to send friends messages or emails? 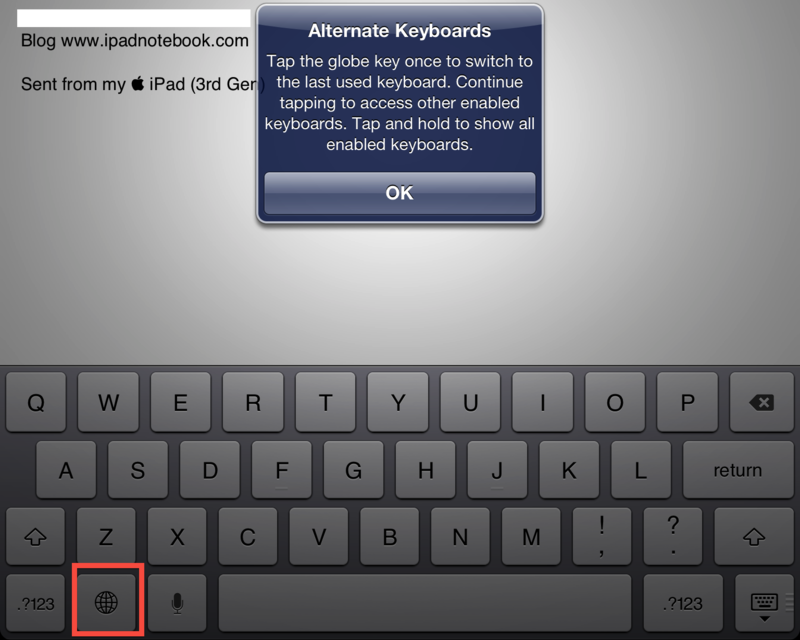 You can modify your iPad keyboard to accomplish that. Make sure you are using the latest iOS. NOTE for iOS 7, follow this link. Go to Settings > General > Keyboard. Tap on Add New Keyboard. You will be presented with a list. Tap on Emoji. Now, open an app, any app that uses a keyboard. You will be presented with a reminder and a new icon will be next to the spacebar. It looks like a globe. Tap on the globe and you will be presented with all kinds of symbols and choices. Tap on the various icons at the bottom to choose a set and scroll through the set from right to left to see how many pages of icons you have. Tap an icon and tap the globe symbol to get back to the regular keyboard. You can read more at the Apple support article. Thanks for sharing the way to make an emoji keyboard work on my iPad. I LOVE it!! I go to this website every day to check on cool tips. It’s built into the iOS. There is no special app. You just need to turn on the feature. These work for messages, but only a few work in comment box. 🌹 Thank u, so much, I can now personalise, my ‘signature’ on my ipad. It really looks great!! The emoticon shows when I type to update my facebook status, but when I post my status the emoticon does NOT show up. That MAY have something to do with how Facebook handles the emoticon. You have to tap the globe icon each time to get the keyboard back. My friends have … pretty much way cooler and heaps more emojis… How do I get them too? You need to have at least iOS version 5.0. You can read more about the details on this Apple page. I wonder the others have more smiley faces or other things than me I only have 4pages to swipe left to right, what app can I use for emoji? I didnt see emoji as a selection to keyboards. Why? Did you follow the steps above…are you running the right iOS version? how to get this on my Belkin Ultimate Keyboard case. I have it on the Ipad but now that I have this new bluetooth for the Ipad, I don’t see how to get to it. There is a globe icon for language. Is there a way to get it on tjis device? Thank you so much for helping me. I’m having a good time with my emoji friends!!! Can. Use it on iPad1? Update to the latest iOS you can and see. Docent work on iPad 1 please help. 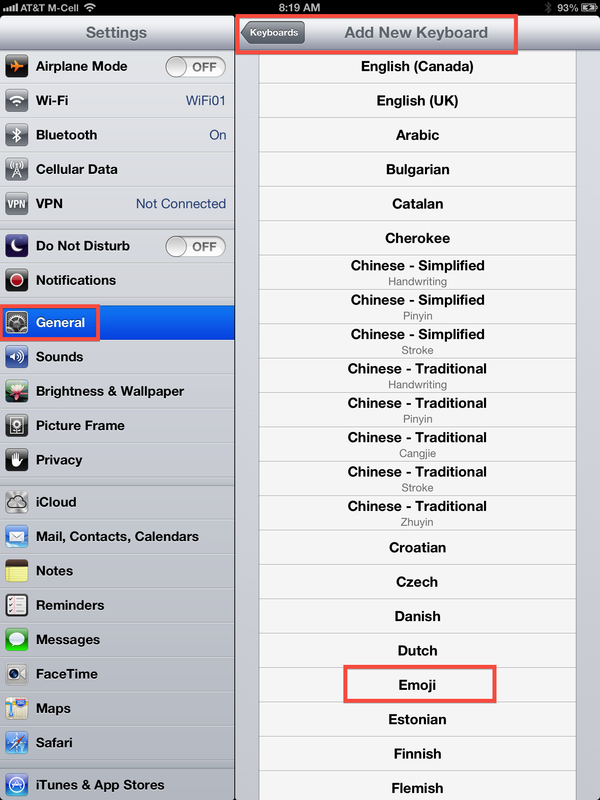 I go to languages but I can’t find emoji. How do I get it? You may need to update to the latest iOS to use the emoji feature. Thank so much it was really easy to do. Sooooo nice if you! Thanks for sharing! 😘!!! It works on my Instagram but not Facebook. Do you have any idea how this thing work? Thanks! Sorry…It may be something to do with how Facebook handles the emoji. I reset my I pad 2 then I couldnot download these apps coz it keep ask me to download iOS 6 or 5 and I want to use Emoji what can I do .? Please help me . See if you can go to the system preferences and download the latest iOS.